Home/Chiropractic, Posture/Posture: How Can a Chiropractor Help? We tend to take our posture for granted and don’t always do what’s best for our bodies. 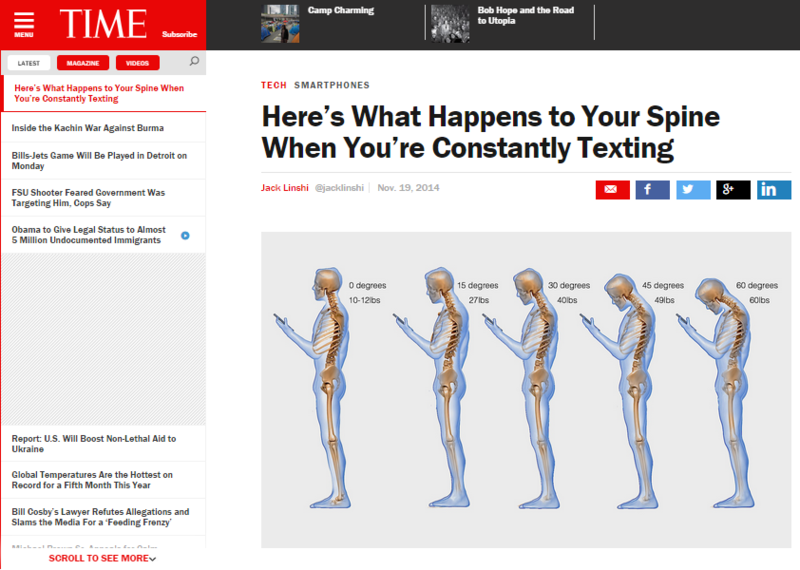 We slump in our chairs; lift improperly; and even use poor posture when we’re on our mobile phones. We take our posture for granted until something happens that tells us our posture is causing us pain and perhaps even illness. Only then do we contact a chiropractor. A chiropractor may be able to help ease pain and correct long-standing postural problems, but they prefer helping people prevent the problems associated with poor posture. What is Posture and How Can a Chiropractor Help? Posture is basically the position of the body in space and the relationships between the body parts. Ideally, our posture is aligned and helps each part of the body support other parts of the body. An upright posture is not fighting gravity and is not creating stress on the spine or joints. In an earlier blog, Why Good Posture is Important, we looked at self-help treatments for posture. Everyone is different, though. We do different types of work and have different body types. A chiropractor treats each patient as an individual and tries to pinpoint their individual problem areas. A chiropractor may be able to help correct postural problems through manipulation, exercise and other techniques. During an initial examination, a chiropractor will ask questions and make observations. If needed, your chiropractor can do tests or recommend X-rays. If you or someone you love has postural problems or needs remedial care, contact Petrozzi Wellness Centre. John Petrozzi is available Monday through Friday during normal working hours. Joe Bitar is available Monday 8am-7pm, Thursdays 12pm -7pm, Wednesday and Saturday Mornings by appointment only. Call us on 02 9518 0096 for a complimentary 10 to 15 minute phone interview.